I’ve mentioned before on this blog that when I was a kid in the 70s my dad and I raced TT and Flat Track motorcycles, which we customized for optimum performance on the track. 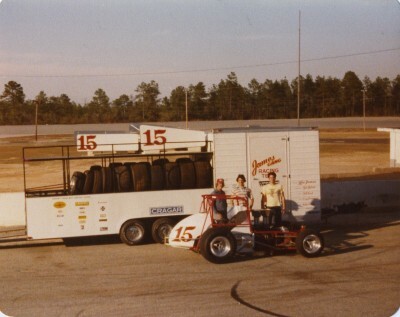 As I got older we started racing cars—Sprint Cars. My first race car started from a kit. From there I was hooked on racing, on cars, and on metal fabrication and began working as a mechanic on a couple of local teams. 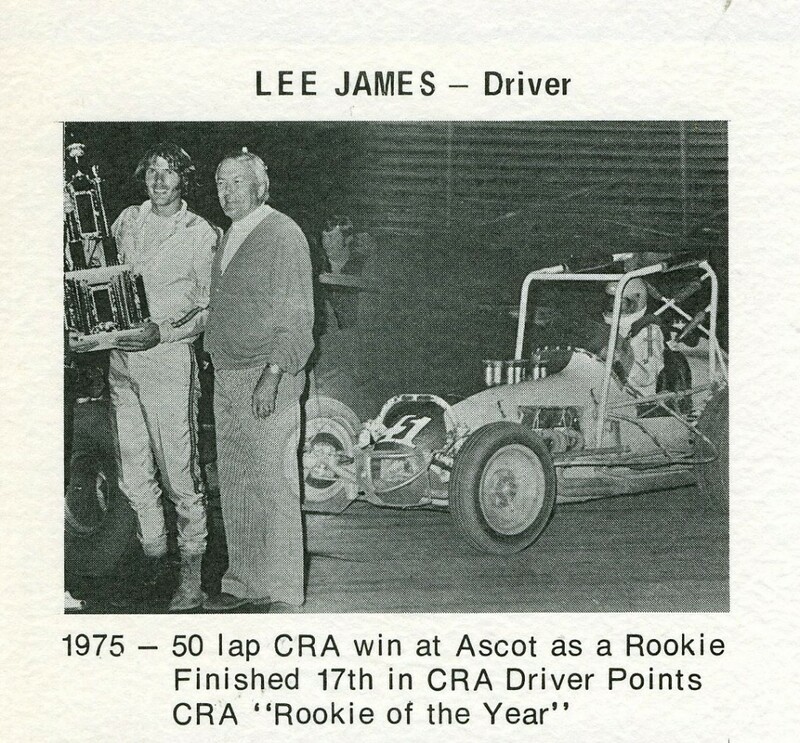 One day I was approached by this young, fast driver, Lee James and his father in-law who were looking to put together a team to sweep the World of Outlaws. 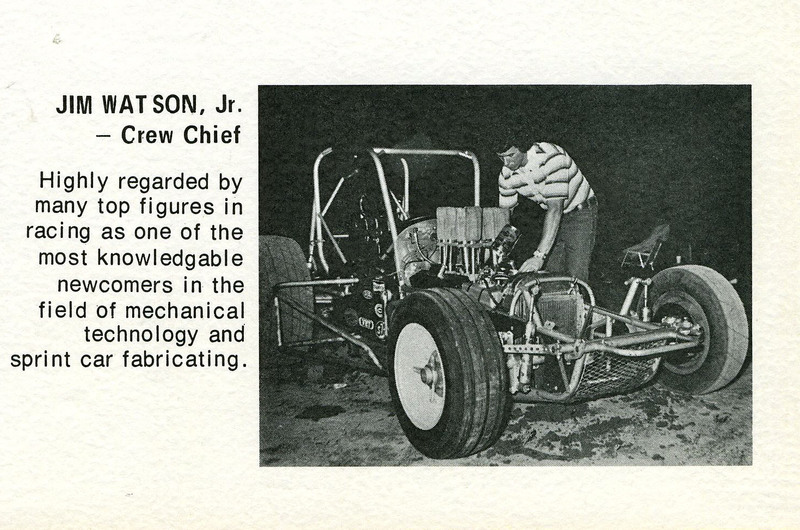 They hired me: Lee James, Driver and James Watson, Chief Mechanic, became the James’ Gang Racing Team. We left California and headed to the season opening race at East Bay Raceway in northern Florida. The car had never been started, the first night on the track we broke the track record in qualifying. I will never forget Rick Ferkel, Sammy Swindell, Steve Kinser and Doug Wolfgang coming over to the car to see which tire we were running on the right rear, Gary Stanton wanted to know what cam we were running! (Schneider T154R). 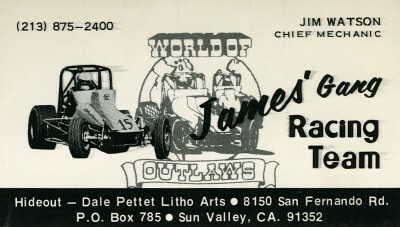 We ended up wining several preliminary races– Three “A” main events and finished 4th in the 1979 World of Outlaw National Points Standings! To run the entire 70 race championship series we needed to have everything with us when we were on the road. We designed and built a custom 35′ long three axle trailer with a fully stocked repair shop, loaded with spare parts, engines, tires etc. Both the car and transporter were custom painted by Paul Knierim. One of the technical challenges of traveling from track to track is that you need to have the right tire and wheel combinations to optimize your cars speed and handling. Check out our tire rack– we had space for 40 wheel and tire combinations! And check out this photo (below) from our press kit of Johnny Parsons, 1950 Indy 500 winner, celebrating a win with Lee James after he won his first CRA Main Event at Ascot Park in Gardena Califronia. An interesting note, after retiring Johnny Parsons was the Sales Manager for the one of the leading welding equipment manufacturers– Weldcraft for 5 years, and as you may know I left racing to work for Weldcraft as well. 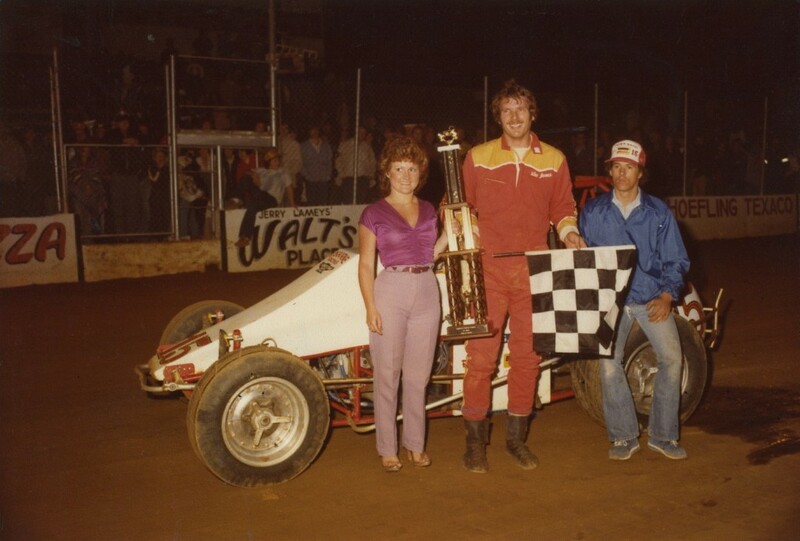 Here is a picture of Jim Watson (right) Lee James (center) and trophy girl after our first World of Outlaw Sprint Car win at Tri-State Speedway in Haubstadt Indiana! We had a great year, and after my one year contract was up, I left to form my own Sprint Car team. If you’re thinking about fabricating your own race car, you’ll need to have a MIG machine and a TIG machine, an oxy-fuel set up and a good assortment of torches and other welding accessories, not to mention metal fabricating hand tools, and shaping hammers to custom build a car that can win– Give us a call at Arc-Zone and we’ll get you started! Hey Jim, Gary Howard here, I’m not really an Internet or computer guy, so imagine when I came across Joe Welder by accident, hahaha, long time since we last spoke! Please email me your contact info and I can return mine to you. I do not weld as much as I used to, and to tell you the truth, the guys that are welding modern day sprint cars together do not have any certs at all. Anyway I have some questions, as I have not kept up with all the new stuff available. I look forward to a visit, talk to you soon.